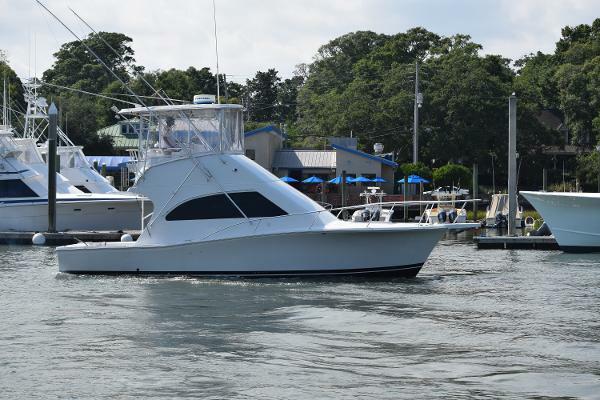 2003 Luhrs 34 GREAT SPORT FISH AT AN AFFORDABLE PRICE $87,500 RECENT ENGINE REBUILT WITH LESS THAN 50 HOURS NEW ELECTRONICS PACKAGE LARGE COCKPIT WITH MOLDED STEPS TO THE BRIDGE NEW AUDIO SOUND SYSTEM This is the perfect size sport fish with reliable diesels. The boat has recently been refurbished and shows extremely well. 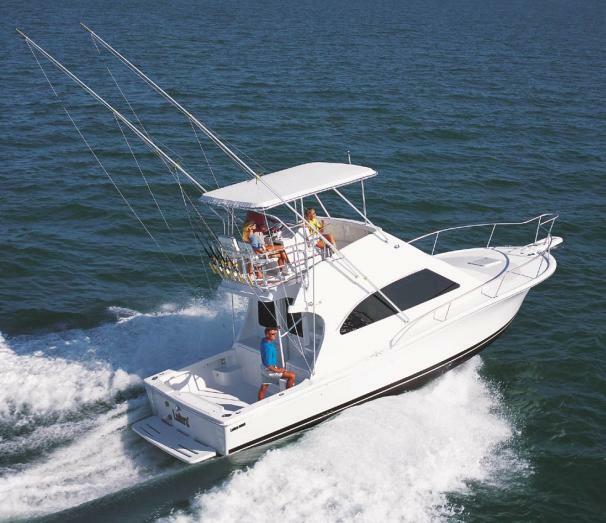 It is turn key and ready for offshore fishing or cruising the islands. 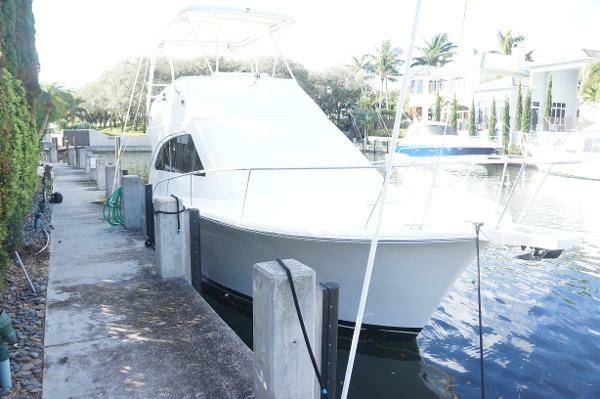 OWNER WANTS BOAT SOLD QUICKLY SO BRING REASONABLE OFFERS! 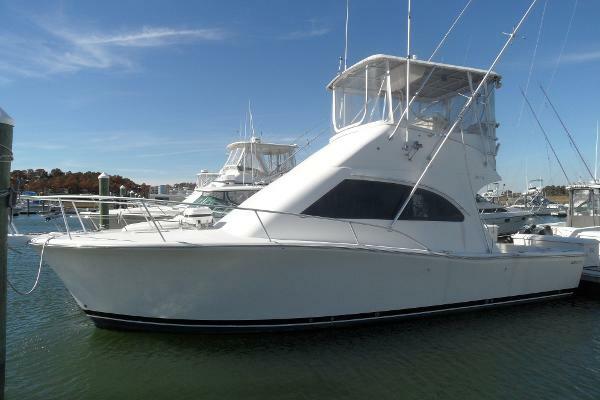 2002 Luhrs 34 Convertible OUTCAST is a 2002 34' Luhrs Convertible with twin 370 hp Cummins Diesels 680 Hours. 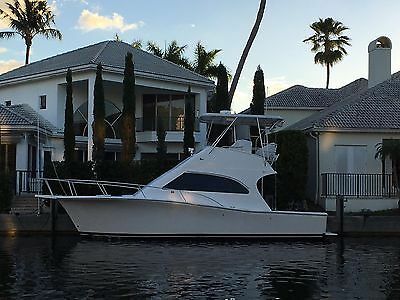 Furuno Radar, Furuno FCV-582L, Icom VHF, Northstar GPS Plotter, Livewell, Fresh Water and Raw Water Washdown, Large Fish Boxes, Leather Sofas, Stereo, Lots of Rod Storage, A/C and Heat, Kohler Gen Set, Ready to fish or cruise. 2001 Luhrs 34 Convertible Less than 350 hours on this beautiful lift kept Luhrs 34 Convertible with Cummins 370 diesels and Kohler 8kw diesel genset with 120 hours. This one owner family treasure has been babied since new and always professionally maintained by the P.L. Jones Boatyard. She's never seen the ocean and never been fished. New batteries and bottom paint spring of 2016 and ready for a new owner to enjoy. Lee outriggers, windlass, and a second anchor included. Your mechanic will appreciate the reverso oil change system. Priced to move quickly. 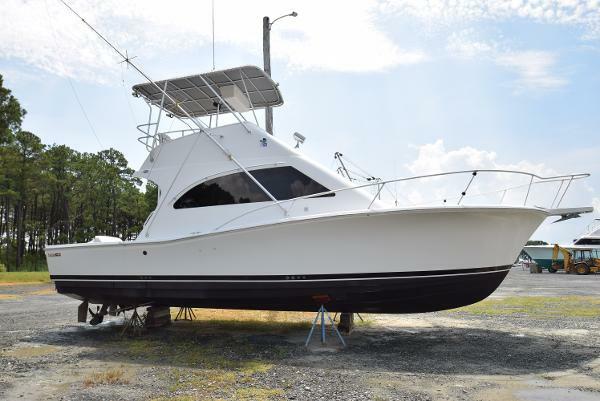 2001 Luhrs 34 Convertible $5000 Price Reduction 6/16!Extremely Clean Turn Key Luhrs SportfishLarge cockpit with molded steps to the BridgeReliable Cummins Diesels with 1000 HoursRebuilt Koehler 8KW GeneratorReinforced Helm Bridge Top StructureFull Helm EnclosureOwner recently spent $10,000 on upgrades and repairs. The boat is extremely clean and ready to go fishing! 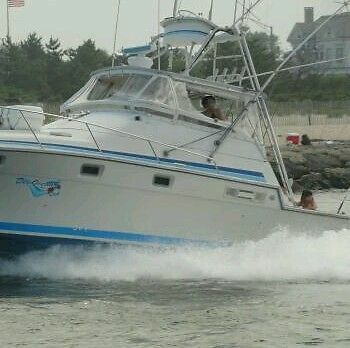 1984 Luhrs 34 foot 34 Luhrs for sale in marathon, great for a live aboard or fishing.. great price, twin yanmar diesel engines that fired right up..
2004 Luhrs 34 Tournament 2004 Only 387 Hours on her Yanmar Diesels This 34 Silverton Tournament 2004 shows like the day she was delivered from the factory. Constantly maintained by her diligent owner and serviced regularly, she is a pleasure to be on. 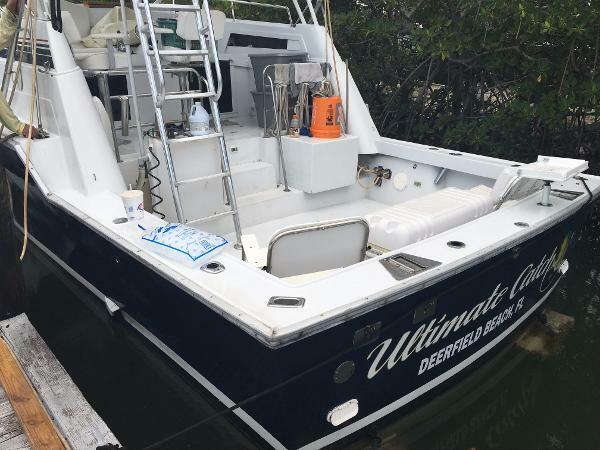 Owner is moving up.Twin Yanmar FWC Diesels 6LYA-STP 370hp only 387 hoursNew Air ConditioningGeneratorNew EisenglassInterior looks like newExterior looks like newRaymarine C120 Color Radar, GPS, Chart Plotter Personally inspected and photographed by the listing broker. Please call us today for more information or to arrange a showing. Boat is in great shape and ready to fish. Has many amenities, too much to list. Needs some cosmetic work but nothing serious. Motivated to sell due to health conditions. $1000.00 deposit required. Please contact owner Robert at 609-553-one five nine zero. Boat is located in Rock Hall, Maryland. 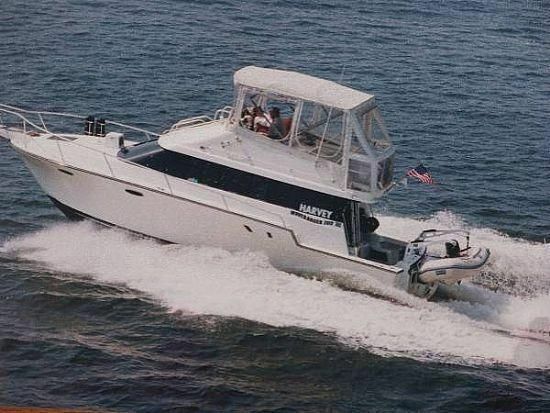 BOAT OWNERS NOTES for 1991 34' LUHRS 3400 Motor Yacht in Very Good conditioncall BOB @ 609­-553­-1590. OVERVIEW: Cockpit has enclosed canvas and carpet, the cockpit provides some great views, Cockpit has SIA51 transom mount speed/water temp,Ray52VHF, ST 6002 SmartPilot, GARMIN Fiahfinder 160, Horizon DS30, Horizon SL 30 GPSMAP1820 color chartplotting receiver, sink with running water. 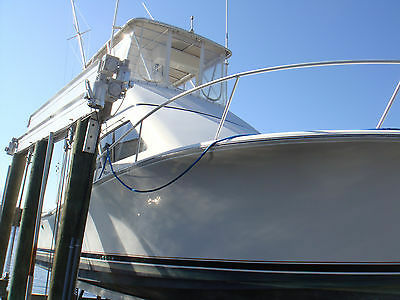 ENGINES:Large 2 gas 454 CRUSADER engines (350hp each), velvet drive transmission, Trim tabs fresh water cooled (1340 hours) INTERIOR: AC/ heat system, stereo system, kitchen wood floors, rest is carpeted, carbon monoxide monitor, stand up shower sepate from bathroom, kitchen has stove,microwave oven, sink, hot water heater, Complete entertainment center, battery charger two 30 gallon watertanks, 300 gallons gas tank. This boat many more goodies and a lot of storage, NOTE: There is No generator but is set up to put one in. 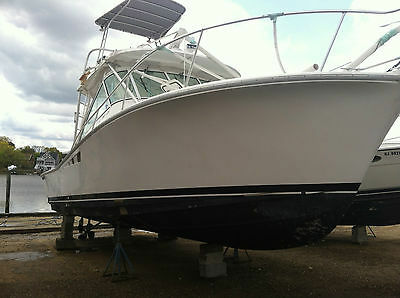 For further information or to arrange an appointment to see the boat , CALL Bob @ 609-553-1590. 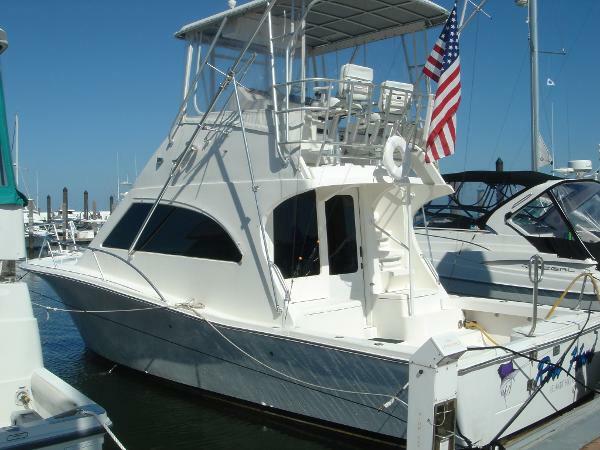 2003 Luhrs 34 Convertible This is the cleanest Luhrs on the market today! She has 325 hrs on twin Yanmar 315 diesels, brand new outrigger that have never been fished along with a new fighting chair that has not seen a fight yet! This boat has been bottom painted with a new boot strip, and curtains on the fly bridge. Don't let this one pass you bye she is ready for some offshore fishing!